For over 90 years the Auxiliary has been a vital fundraising branch of St. Mary’s Hospital Center. 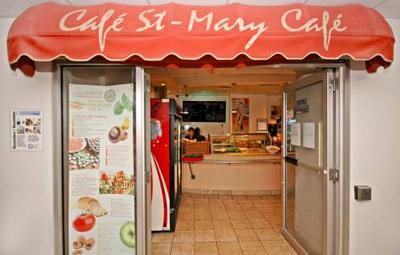 The Auxiliary operates the Gift Shop, the Book Corner, the Coffee Shop as well as several vending machines. We also hold several annual events such as the Fall Fair, Fashion Show, and the Spring Bridge Luncheon. All funds raised through these initiatives go towards the purchase of specialized medical equipment and to enhance patient care. Opening hours: Monday – Friday, 9 a.m. – 4 p.m.
Saturday, 12 p.m. – 4 p.m. Phone orders & delivery accepted: 514-345-3511, ext. 3972. We are offering a variety of flowers, magazines & newspapers, chocolates & candies, jewelry and home accents and much more! We also have Souvenir Birth Certificates at a cost of $10.00. The kit also includes little ink pads to imprint the newborn’s feet. Click here to view an example of the souvenir Birth Certificates. Opening hours: Monday – Friday, 7:30 a.m. - 7 p.m.
Saturday – Sunday, 8 a.m. - 6 p.m. The Coffee Shop is open for breakfast, lunch and dinner. It is serving a variety of sandwiches, salads, soups, daily specials, pastries, desserts, fruit drinks and specialty coffees. Vending Machines are available 24/7. 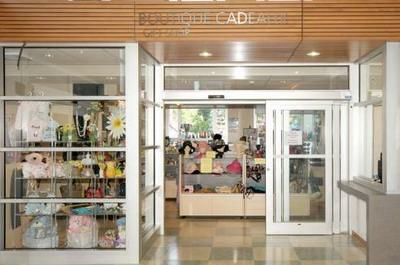 They are located on the Ground floor, next to "Le Café", and in Maternal Child Care, 4th floor waiting room. Opening hours: Monday – Friday, 9 a.m. - 5 p.m.
Saturday - Sunday, 1 p.m. – 4 p.m. Phone number: 514-345-3511, ext. 6556. Our Book Corner, staffed by volunteers, is overflowing with gently used books in English and French. Drop by and pick-up your next exciting read! We are always looking for recent soft-covered books in good condition, magazines and DVD’s. 3830 Lacombe Ave., Pavilion A, 7th floor, room 7312, Montreal H3T 1M5. Phone number: 514-345-3511, ext. 3031. Opening hours: Wednesday and Thursday, 9:30 a.m. - 4:30 p.m.
Memorial donations can be made directly to the Auxiliary office, and a memorial card will be sent to the family. Donations celebrating the birth of a new baby, wedding anniversary, birthday etc. can also be made directly to the Auxiliary Office. The recipient will receive a card celebrating the occasion. For donation form click here. 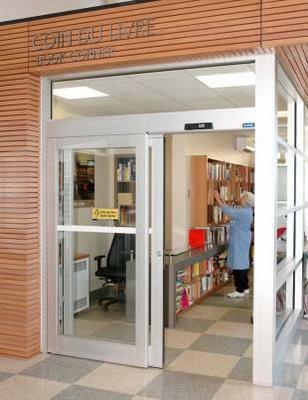 The Auxiliary welcomes new members and offers each individual a variety of ways to serve the hospital. The annual fee of $20 includes a bi-annual newsletter and invitations to our events. For more information, please contact our office at 514-345-3511, ext. 3031 or by e-mail at francine.rebetez@ssss.gouv.qc.ca.